Everything your dog needs to be happy, active and well-cared for we provide at DogMode up to twelve hours a day, every day of the year. 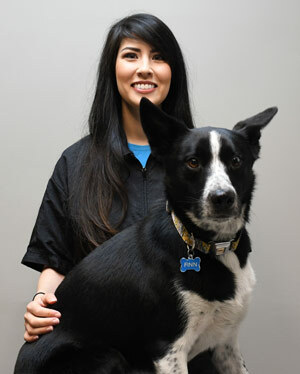 Setting the standard for non-traditional dog daycare and boarding in Utah since 1999. Complete our online Registration Form and call to make an appointment for a free tour and discover why it's a Dog Meet Dog World! 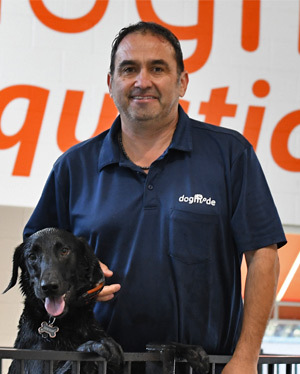 This one-of-a-kind dog pool is great for play time, water therapy, and dock-diving. This separate area away from the big dogs has all the same indoor and outdoor fun as the big dogs enjoy. This new area was created for aging dogs who need a slower-paced and relaxing environment with soft couches and personalized care. 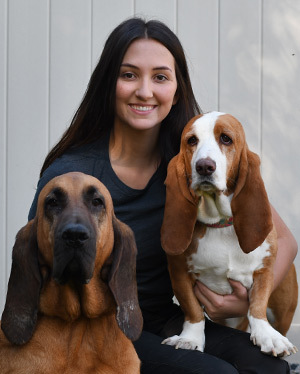 Caring for dogs is our family passion and we strive to provide your dog with the same love we give our own. 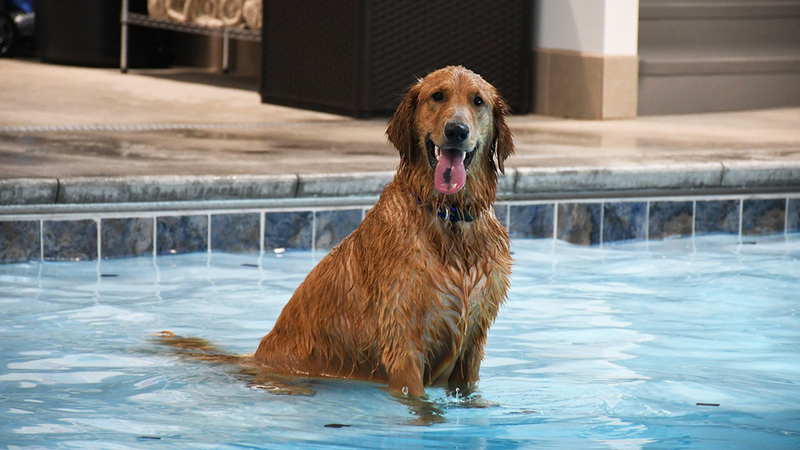 Our facility offers more than 20,000 square feet of space for your dog to play, swim and socialize! Our comprehensive training program ensures safe play under the supervision of our knowledgeable staff. Large outdoor areas with K9 grass provide a safe and sanitary surface for your dog to enjoy anytime. With more than one hundred kennels in four sizes, we can accommodate dogs of any size for a comfortable night's rest. We encourage our clients to view one of many webcams throughout the day to check in on their dog. All breeds and size dogs that meet our vaccination requirements and pass our behavioral assessment are welcome to play! Two self-serve, fully stocked bathing tubs are available at your convenience in the lobby from 9am-6pm daily. 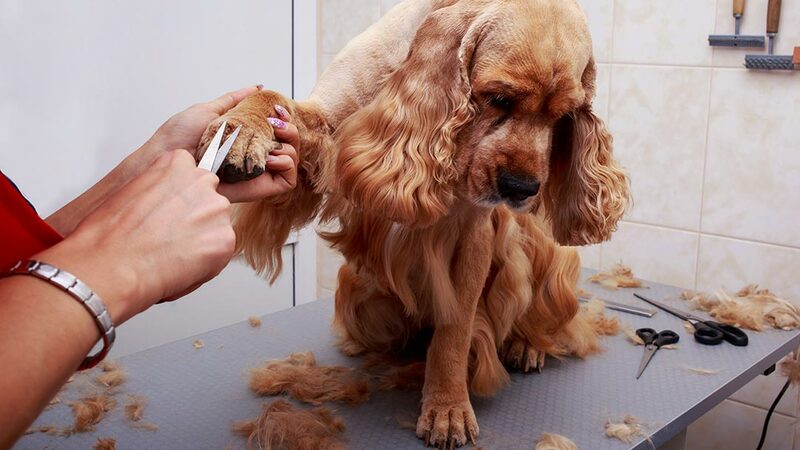 Our professional groomers have more than 15 years of experience and are available by appointment. 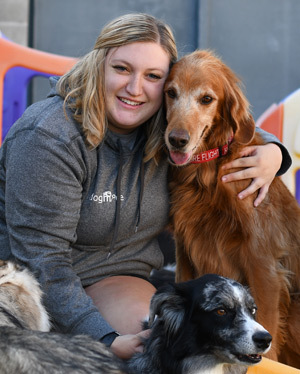 Since 1999, DogMode has set the standard for dog daycare and boarding services in Utah, providing a space for dogs to be physically and socially active under the supervision of a well-trained and compassionate staff. 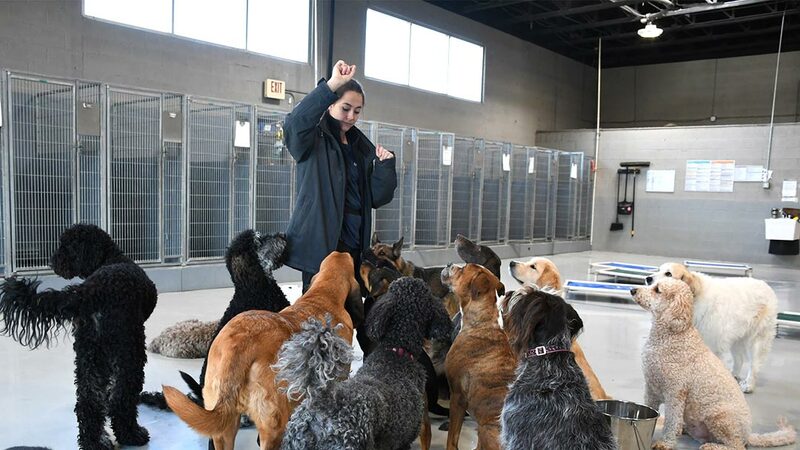 Our 20,000 square foot facility was designed with comfort, cleanliness and functionality as our top priority, giving you peace of mind while your dog is under our care. 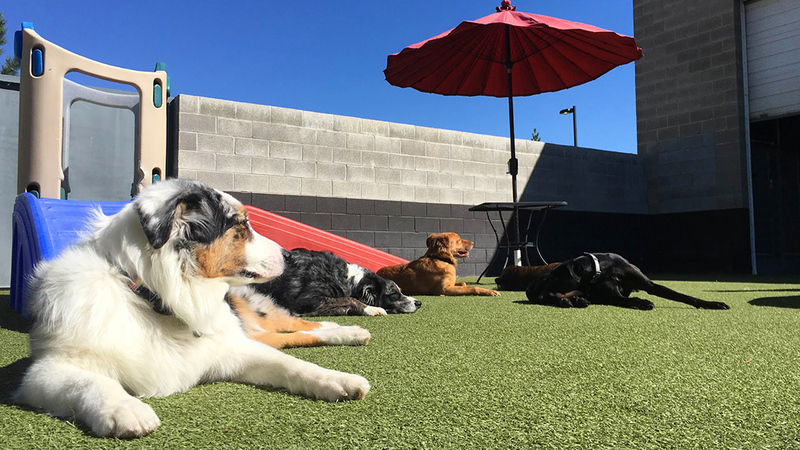 As an essential resource for daycare and boarding, we encourage our clients to view our live webcams during their workday or while on vacation to experience a day at DogMode. Utilizing multiple cameras, you have access to all indoor and outdoor areas to follow the activity of your dog during open hours. As a local small business, we believe in supporting our community and sustaining meaningful relationships with our clients. We value supporting local foster and adoption programs and can often be seen at fundraising events in the area. Our love for dogs motivates us to continue specializing in caring for yours and fostering a loving community to benefit all dogs.